These were not comforting words to us in Dar al Fatwa. Wes and I had been hauled off the top floor of the high-rise apartment building, our messenger bags full of Arabic New Testaments, and shoved into an elevator. And now we stood, trembling, as a very angry man shouted at us in Arabic, gesturing wildly, while we kept our eyes glued to our feet as though we were guilty of some great trespass. On the ground floor, he practically ran us out of the building and a group of equally burly and angry men trailed us as we hightailed it out of Dar al Fatwa. This was not our first apprehensive experience there. (And that’s definitely a story worth reading, if only to show how the little kindnesses we do where we are can change the world.) And it would certainly not be the last. 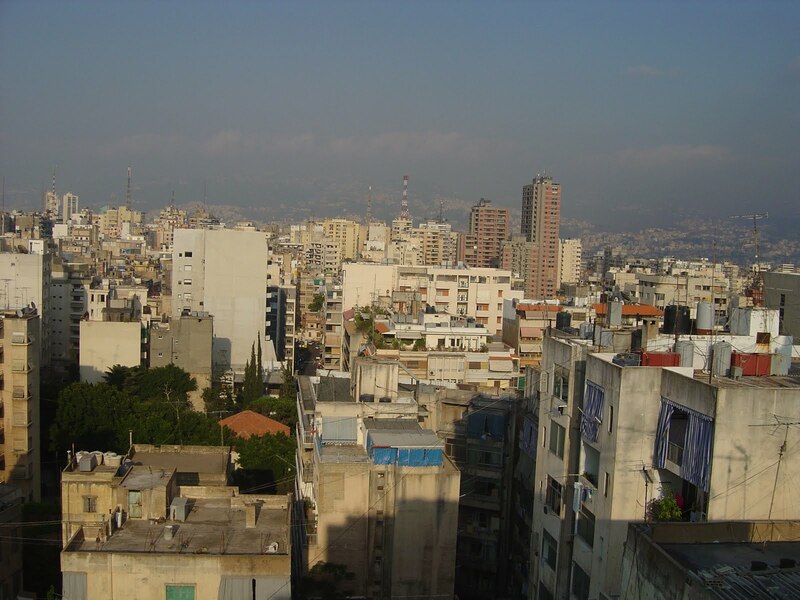 But I honestly feared for our lives, there in Dar al Fatwa, and for days afterward, I felt ill when we would start walking the streets of Beirut, headed right back into door-to-door Bible distribution and certain persecution. We wanted to go home. We almost DID go home. But thanks to Wes and a timely word from Scripture, we stayed and honored our commitment. It was not heroic, not valiant, not even brave — we were scared to death. And as we practically sprinted away from people, lost and hurting people, simply because they flew Hezbollah flags or were hajjis (people who had made the pilgrimage to Mecca), we were missing the point. Christ had called us to more than that. Christ had called us to fearless living, counting our lives as nothing when compared to the chance to glorify Him. This statement troubles me. Not because I don’t believe it’s true. I totally believe it! Scripture proves that it’s a valid and trustworthy statement, affirming that those who know Christ, who are found in Him, WILL face persecution. Well, they were mean to me, but honestly, they weren’t trying to kill me. And yet still! That was too much for me. Chicken in Beirut, chicken in Oklahoma, y’all. How do I get from where I am right now (where my sinful inclination is to stay away from Jesus and close to my comfort) to a fearless, Christ-exalting life? Platt mentioned Jim Elliot in the conclusion of his book. Elliot and those he worked with were all very young when they were martyred in the jungles of Ecuador while trying to share the Gospel. As many books as there are out there on the life of Jim Elliot prior to this point, there are just as many, if not more, on the life of his wife, Elisabeth, who later went back to Ecuador and led to Christ many of those who had been involved in the murderous attack. I had the great privilege of hearing her speak in Dallas in 2003, and I was struck throughout her message, as I had been while reading her books and the journals she kept as a young woman before the massacre happened, by how solely focused her life was. The study of Scripture, the practice of prayer, and the constant alertness to the Lord’s leadership and guidance characterized her life years ago and decades later. She knew Him so intimately, understood so acutely that real life is not what we have here in these earthly suits, and prized His glory so far above anything else that even martyrdom was inconsequential. Wes and I were no Jim and Elisabeth Elliot as we quivered in fear in the corner of an elevator in Dar al Fatwa. But I am convinced that as we know Christ more and we study God’s Word and we begin to rightly judge our worth in comparison to His glory… we will NOT stay away from Jesus. Wowzers. This is awesome. And scary. Thank you, Jenn. I looooove your stories from distant lands. i really enjoy reading your posts as you tie your missionary experiences in with what we're reading. your stories are fascinating, challenging and encouraging! I just had someone comment on my post and were surprised that people were afraid of death when going on missions. This post was a reminder that yes, there are real dangers to some mission work. Good for you guys that stuck through it, even through your fear. Love the story. It is a challenge to all of us. I appreciate that you're not staying away from Jesus, even in the memory of your experience. In practical terms, I have stayed away from Jesus because I have chosen the safe life. I have lived in Kenya and Korea, finding it easier to be a person of faith in a culture where I am already expected to be different. Living in North America where I am part of the dominant culture creates a safe environment. But no one can be blamed because the desire for safety is a natural human inclination. The challenge for me is to learn to get my faith dirty, getting involved in other people's lives, finding ways to volunteer and be the hands and feet of Jesus in the community I have been placed. I am struggling with the same question in this chapter…if my life doesn't have evidence of persecution am I truly living for Jesus? Love your point of view!